Approximately 80 members and guests gathered on Saturday February 23rd for the WSC Annual Meeting & Banquet at the Elks Lodge, Waikiki. In addition to the election of a new VP Social Activities, Debra Van Zile, the remaining officer positions were filled by encumbents: President, Allan Six, VP Race Operations, Sui-Lan Ellsworth; VP Communications, Gary Bignami; VP Membership, Kellie Harada; Treasurer, Tom Heberle; and Secretary, Denise Webb. The evening's speaker, Adam Kurtz, of NOAA National Marine Fisheries Service Protected Resource Division, gave an informative talk about managing human interactions with protected wildlife by promoting compliance of the federal wildlife conservation laws. A PDF of his presentation is included below. The Hawaii Swimming Hall of Fame will hold its 7th Induction Ceremony and Banquet on Saturday, September 8, 2018, at the Hale Koa Hotel. 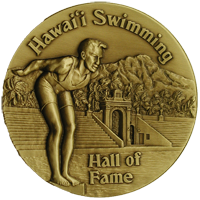 The Hawaii Swimming Hall of Fame is an endeavor of the Hawaii Swimming Legacy Project to preserve the history of swimming and diving in Hawaii and to provide inspiration for future generations of Hawaii’s aquatic athletes. The Hawaii Swimming Legacy Project was established in 1999 by UH professor Hiroshi Yamauchi, Olympians Richard ‘Sonny’ Tanabe, Evelyn Kawamoto, and Bill Smith, Gary Hosaka, and Coach Keith Arakaki. The first Hall of Fame induction was held in 2002, with Duke Kahanamoku and Coach Soichi Sakamoto among the original group of inductees. The public is invited to attend the 2018 Hawaii Swimming Hall of Fame Induction Ceremony and Banquet on Saturday, September 8, from 6:00 – 9:00 pm at the Hale Koa Hotel in Waikiki. Reservations available online at the Hawaii Swimming Hall of Fame website. Develop a family disaster preparedness plan now. Determine evacuation routes from your home and places to meet. Determine the location of official shelters. Have an out of state contact, so all your family members have a single point of contact. Make a plan for what to do with your pets if you need to evacuate. Check your insurance coverage; flood damage is not usually covered by homeowners insurance. See WSC's Hawaii Weather page for tropical weather forecast. 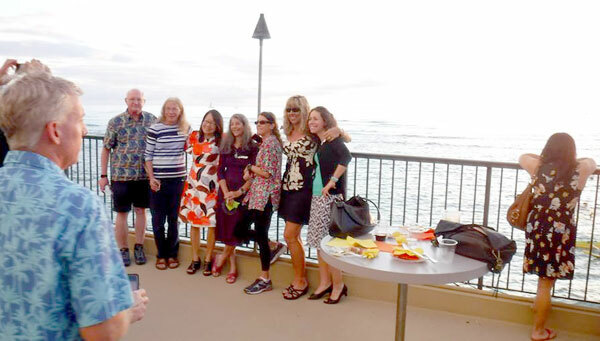 A packed house of 100 members and guests enjoyed an evening of camaraderie, good food, and an amazing green flash sunset at the Elks Lodge, Waikiki. In addition to the election of a new Club President, Allan Six, members elected a new VP Membership, Kellie Harada, and VP Social Activities, Kelly Quin. The remaining officer positions were filled by encumbents: VP Race Operations, Sui-Lan Ellsworth; VP Communications, Gary Bignami; Treasurer, Tom Heberle; and Secretary, Denise Webb. The evening's speaker, New York Times best selling author, Susan Casey, treated attendees to an enthralling ocean-lover's talk ranging across topics of great white sharks, rogue waves, and the neurological basis of dolphin social interaction. Curious about Hawaii regulations on fishing? Download the PDF. 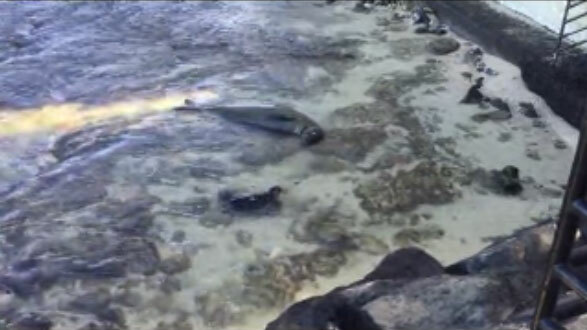 Article: NOAA and DLNR ask people's cooperation to keep distance from mother seal & pup on Waikiki Beach. NOAA uses this information for their research. 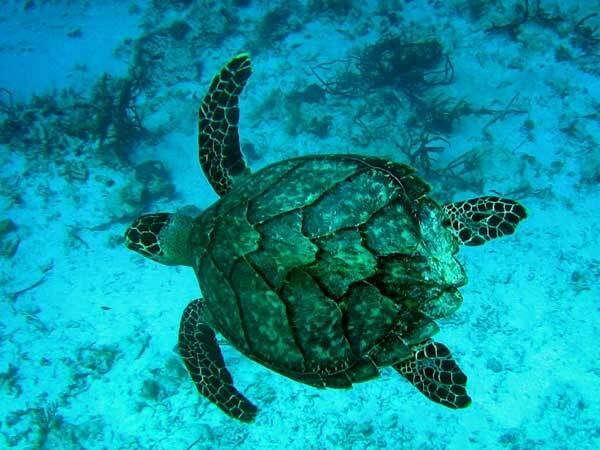 Green Sea Turtle, for comparision. These are much more common in Hawaii than Hawksbill turtles. Note the difference in the shell plates. A compound commonly found in sunscreens has been shown to cause serious harm to corals, and the Department of Land and Natural Resources (DLNR) is asking people who enter the ocean to avoid using sunscreens which contain oxybenzone. A recent study has shown that oxybenzone causes deformities in coral larvae (planulae), making them unable to swim, settle out, and form new coral colonies. 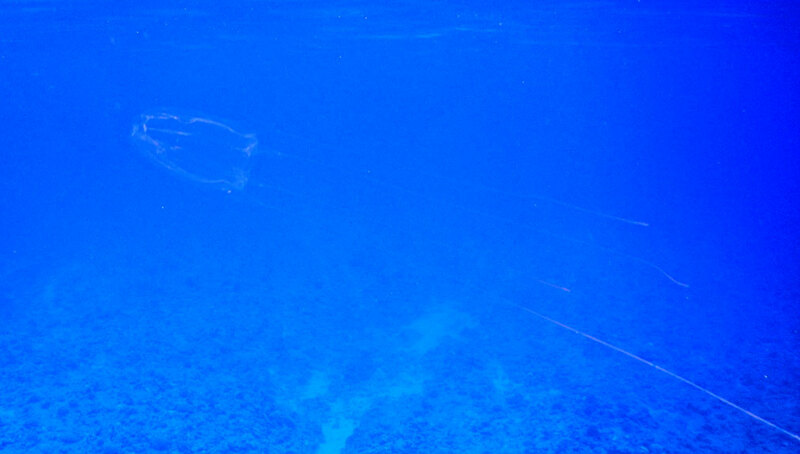 It also increases the rate at which coral bleaching occurs. This puts coral reef health at risk, and reduces resiliency to climate change. Sunscreen chemicals wash off swimmers, surfers, paddlers, spearfishers, divers, and other ocean users. Even if you’re just sunbathing on the beach, using beach showers will wash chemicals into the ocean. Researchers have found oxybenzone concentrations in some Hawaiian waters at more than 30 times the level considered safe for corals. Waikiki Swim Club welcomes swimmers from all around the world to enjoy our ocean and our friendship. If you are visiting or living on Oahu and interested in ocean swimming, please answer the questions in the "swimmer ability assessment" and submit the form. This will be automatically delivered to our volunteer staff. Responses to form submissions and emails are typically within three to four days. 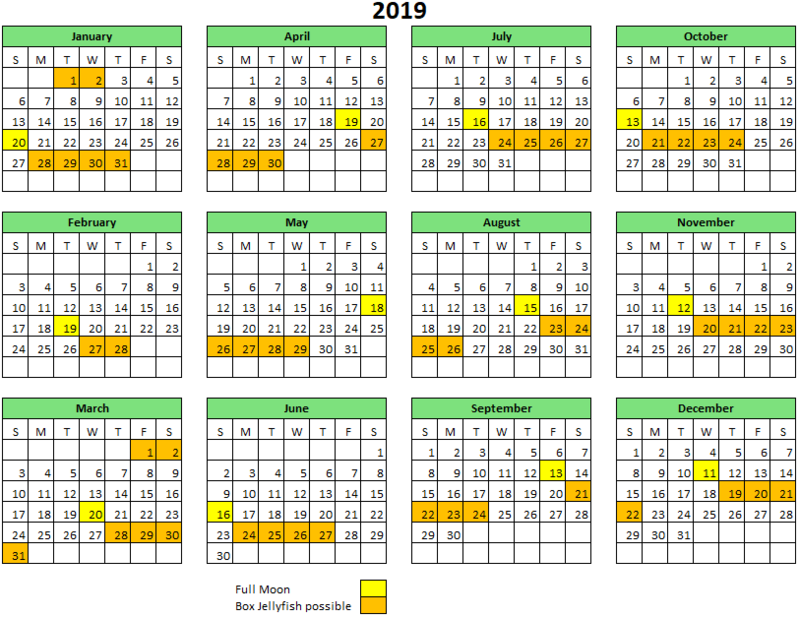 If you are visiting Oahu, please include the dates of your stay and the area where you are staying, along with your swimming ability information. The contact will advise you of potential swims appropriate for your ability and/or any prevailing conditions that may cancel the weekend swim or change the location. This presentation is copyrighted © 2013 – 2019, Angel Yanagihara. 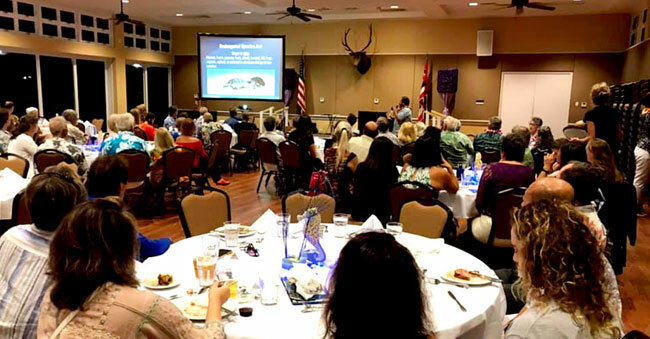 For those of you who were unable to attend the Waikiki Swim Club Annual Meeting, Dr. Angel Yanagihara gave a fascinating presentation on box jellyfish, "The Science of the Sting". Dr. Yanagihara is a researcher at the University of Hawaii and a renown expert on box jellyfish. Here is a link to more information at her lab website. She is well known for her appearances on Nova, the Discovery Channel and others. She recently served as the jellyfish expert on “Team Nyad”, accompanying Diana Nyad on her marathon swim from Cuba to Florida.